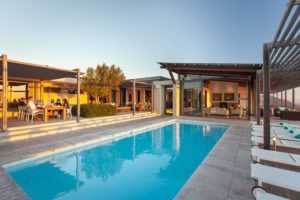 When you need a dose of nature to restore and recharge, consider these favourite nature getaways from Exclusive Getaways, featuring a selection of catered and self-catering accommodation in fantastic nature settings. Secluded in a sand forest in a treasured nature area. Guided canoe trips, forest walks, outings to a remote beach. 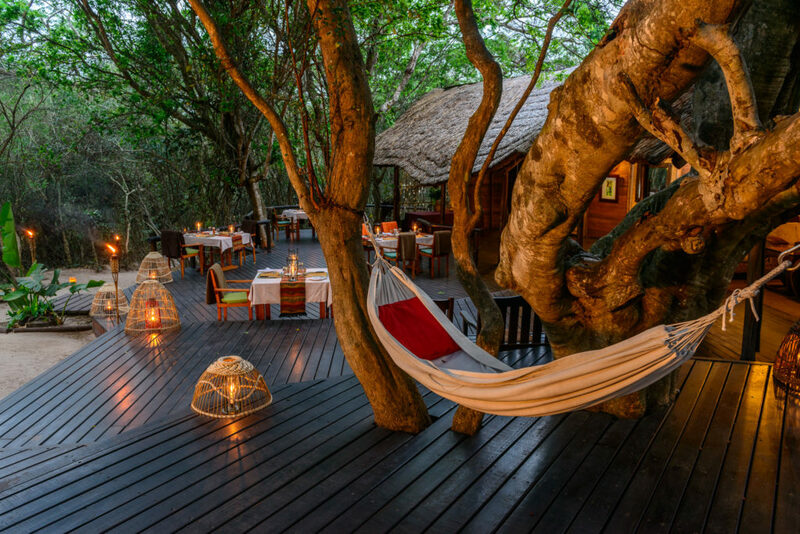 Hluhluwe River Lodge is secluded in a forest with views of Lake St Lucia. Outstanding guided nature activities, such as boat cruises, canoeing, forest hikes. Close to the Hluhluwe-iMfolozi Game Reserve for self-drive safaris. 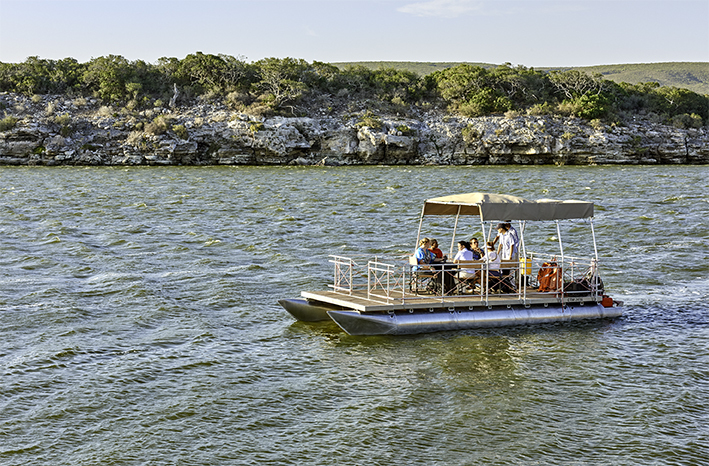 A boat cruise in spectacular De Hoop Nature Reserve. Unbeatable nature setting of dunes, ocean, vlei, fauna and flora. Choice of accommodation options including catered and self-catering. Fantastic for whale watching in season. Enjoy nature in all her majesty in Grootbos Private Nature Reserve. Only 2 hours from Cape Town. 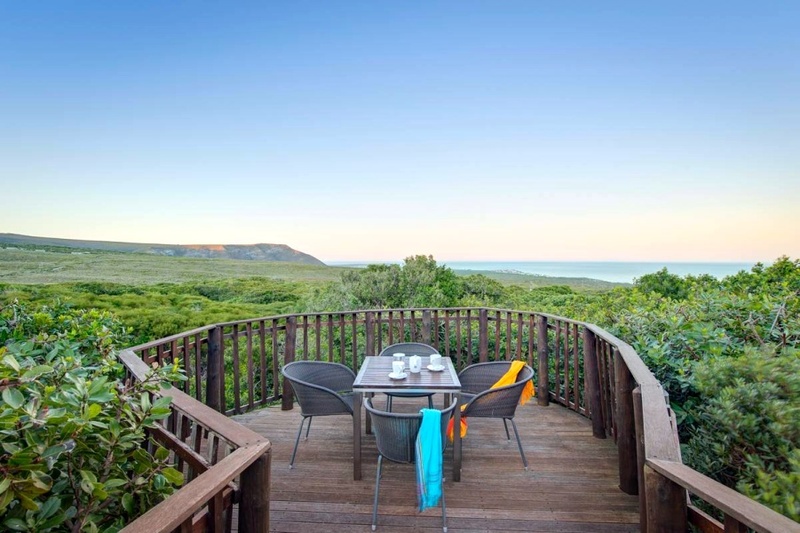 Spectacular private nature reserve of fynbos and forests overlooking Walker Bay. Superb guided nature activities such as coastal tours, ocean safaris, forest walks, fynbos drives, horse riding. 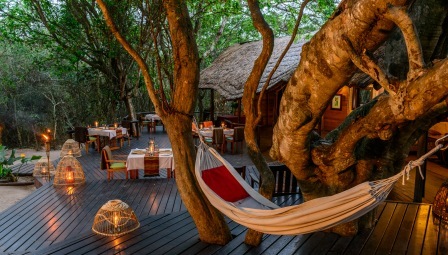 Luxurious accommodation at Garden and Forest Lodges. 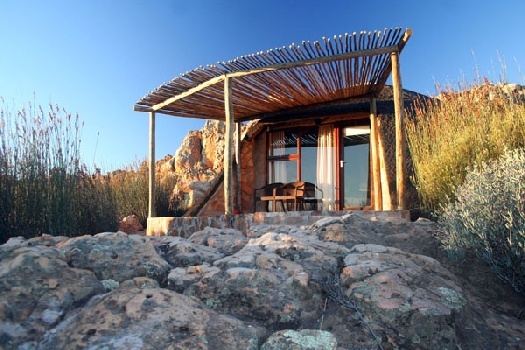 The rocky wonderland of the Cederberg surrounds you in Kagga Kamma Nature Reserve. Natural rocky wonderland in Cederberg South. Ancient Bushmans rock art to be seen. Unique cave rooms and huts amid the rock formations. A real getaway into nature. Dream come true for nature-lovers. Families and self-caterers are accommodated. 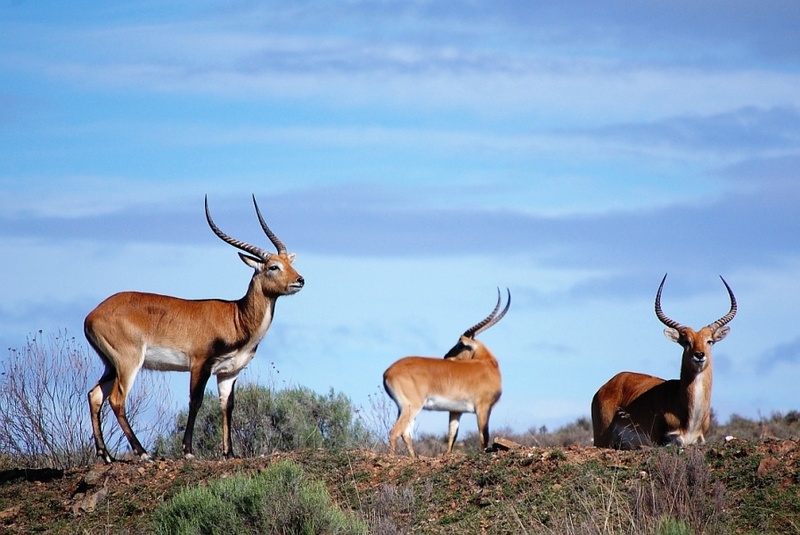 Swartberg Private Game Lodge is the place to go for a private self-catering wildlife safari in the Little Karoo. 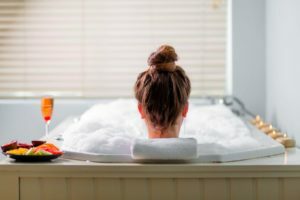 Sole-use holiday rental – 5-bedroom lodge. Wildlife estate, but no large predators. From here guests can visit Cango Caves and ostrich farms. 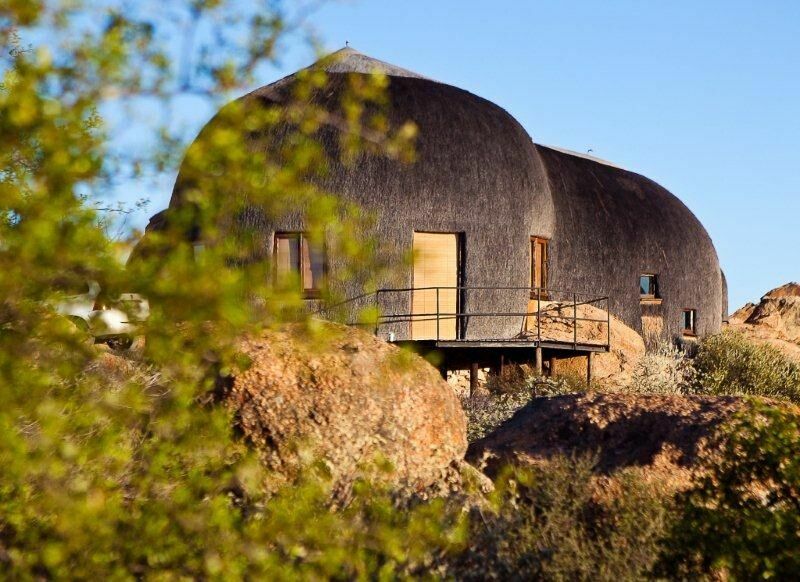 Mail us about your getaway in South Africa, or call +27 21 797 7122, or book online with us.